May 8: Fannie Mae’s AQM and How to Stay Out of Trouble>> Slow? Get Busy: Work directly with clients, bypass AMCs, get paid full-fees and diversify your business. Click here to learn more. Editor’s Note: A recent lawsuit filed against Yadkin Valley Bank and StreetLinks, by appraiser Michael J. McSwain, alleges that he was retaliated against for failing to reach the targeted values needed to close loans. This appraiser says he can prove it. A real estate appraiser who submits an appraisal that is under the contract price knows the potential consequences. In addition to pressure and harassment from home owners, agents and Appraisal Management Companies (AMCs), appraisers also run the risk of being branded “deal killers” and losing both lender and AMC clients; a high price for simply doing one’s job- performing accurate, unbiased appraisals. Most appraisers have integrity and seek to maintain their independence and, as a result, have lost a client at least once, and likely many times over the course of their careers. In some cases, the AMC or lender will send the appraiser a notification that he or she has been removed from the “approved list” or placed on a “black list” for poor performance. However, as many appraisers will attest, the most common result is that they simply stop receiving work from that client. No notification is sent, just an immediate halt to the flow of appraisal work. Very few appraisers are able to obtain solid proof that a lender or AMC is retaliating against them for not “meeting value,” but instead are left only with an uneasy feeling that the sudden drop in orders is an unspoken backlash. 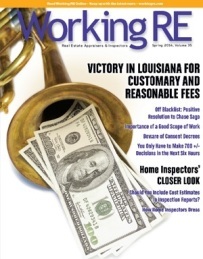 Without solid proof, there is not much appraisers can do but move on and try to find clients who appreciate honest work. A recent lawsuit filed against Yadkin Valley Bank and the AMC StreetLinks, by appraiser Michael J. McSwain, addresses precisely this issue, alleging that McSwain was retaliated against for failing to reach the targeted values needed to close loans at Yadkin. To corroborate McSwain’s allegations, the suit cites explicit internal emails from Yadkin that refer to McSwain as a “BUTCHER” and a deal killer and demand that he be removed from the approved list maintained by Streetlinks (find link to the full lawsuit below). Here’s what happened next. In December 2012, Michael J. McSwain, an appraiser for over 25 years, was engaged by StreetLinks to perform an appraisal on a single family home. During his on-site inspection of the property, the suit alleges that McSwain was told by the property owner that he was the second appraiser to visit the property and that the other appraiser had appraised the property two weeks prior. The owner also commented that they did not believe they could sell the property for the amount they had originally paid for it, $188,000. Shortly after his inspection of the property, McSwain submitted an appraisal to StreetLinks with an opinion of market value of $168,000. The suit indicates that McSwain was not asked to review any additional information by either Yadkin or StreetLinks, and that no appraisal review was conducted on his appraisal. Instead of following proper review protocol, the suit alleges, Yadkin ordered a third appraisal through StreetLinks. Subsequently, the third appraiser allegedly appraised the property at $190,000 on February 1, 2013. Yadkin closed on a mortgage loan for the property of $167,500 a month later. That same December, McSwain was engaged by StreetLinks again to perform an appraisal for another single family home. During his onsite inspection of the property, the property owner allegedly stated that he was sure the property would appraise for as much or more than the tax value of $248,000, as reported by the county tax department. However, after developing his independent opinion of the property’s market value, McSwain submitted an appraisal to StreetLinks valuing the property at $198,000. Several weeks later, Yadkin, through StreetLinks, requested McSwain review four additional comparable sales, according to the suit. After reviewing the suggested comparables, McSwain found all four to be superior to the property in all aspects and replied that they were not comparable. The suit alleges that instead of following proper review protocol, Yadkin again failed to review the appraisal and instead ordered a second appraisal of the property through StreetLinks. The second appraisal valued the property at $250,000 and Yadkin subsequently closed a mortgage loan of $200,000 on the property. According to the suit, the Yadkin loan officer then sent an email to StreetLinks requesting that McSwain be removed from the approved list of appraisers eligible to perform appraisals for the bank. Shortly thereafter, the suit alleges, Streetlinks removed McSwain from the approved list. McSwain was given no notification that he was removed from either Yadkin’s or StreetLinks’ approved list of appraisers, the suit alleges. The suit cites the Interim Final Rule, which indicates that a lender or AMC explicitly violates appraisal independence by “excluding a person that prepares a valuation from consideration for future engagement because the person reports a value for the consumer’s principal dwelling that does not meet or exceed a predetermined threshold.” (12 C.F.R. 226.42(c)(i)(D)). McSwain filed the lawsuit against Streetlinks and Yadkin in early February of this year. The case is ongoing. McSwain’s lawsuit includes five independent claims seeking compensatory and punitive damages against Yadkin Bank and Streetlinks, each one in excess of $25,000. The suit alleges that both Yadkin and Streetlinks have engaged in unfair and deceptive business practices causing damages to McSwain and that both Yadkin Bank and Streetlinks are engaged in a civil conspiracy to encourage targeted appraisals. McSwain’s lawsuit also specifically mentions Streetlinks, alleging that Streetlinks has violated North Carolina’s duty of good faith and fair dealing contract provisions by excluding him from the Approved List. Many appraisers have had the same experience as McSwain. After submitting an honest, unbiased appraisal to an AMC or lender (that comes back below the contract price), the appraiser will simply stop receiving work from that client. Just like McSwain, appraisers are rarely notified when they are removed from a client’s Approved List (or placed on a blacklist), and even fewer are given a clear reason why they are no longer receiving work. Richard Hagar, SRA, a national authority on lending and appraisal guidelines and frequent presenter for OREP/Working RE’s Webinar Series, advises appraisers that if they suspect foul play in such a scenario, they should press the AMC or lender for an answer. “If you’ve stopped receiving business, call the client, ask for a manager, and politely ask why. The next escalation is to send them a formal written letter. Not an email, but a formal written letter on your letterhead. Letters last longer and stay in files longer. Send it to both the AMC and the lender,” says Hagar. Of course, there are many reasons why work might stop, and it may have nothing to do with the appraiser not meeting value. Some AMCs stop using appraisers because their work is bad, they are rude with homeowners, or take too long to respond to follow up inquiries. Nonetheless, many appraisers know from experience that McSwain’s scenario is not uncommon. “I’ve talked to Chief Appraisers at AMCs who discover that dozens of appraisers are on unofficial blacklists with no official reason given. It’s only after they begin asking around do they discover that these appraisers were quietly blacklisted because loan officers were ‘disappointed’ in the appraiser’s performance,” Hagar says. According to Hagar, it is precisely scenarios like this that the new federal and state regulations are meant to address. “Loan officers are to have no input on approved lists. 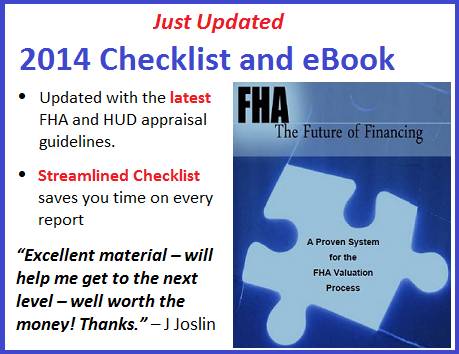 Loan production staff are to be completely separate from the appraisal process. If an AMC or lender does shop values, they are in serious trouble not only via lawsuits like this one but by their state and federal regulators including the Consumer Financial Protection Bureau (CFPB). Numerous agencies could institute a fine against the AMC and lender of $10,000 per day… for each day that the loan exists. A loss in a lawsuit could be a pittance compared to the fines the government could institute against them. This sort of issue is exactly why I try to reach out to lenders and help educate them. Education is far cheaper than losses from lawsuits,” argues Hagar. Hagar encourages appraisers who suspect foul play to not only press the AMC and lender as to why work has tapered off but also to file complaints against the suspected parties with the CFPB, the Office of the Comptroller of the Currency (OCC), and their state regulatory boards as well. The problem, Hagar notes, is that a legitimate complaint requires proof, though in many states, the AMC removing the appraiser from the list must provide a reason why. “If the AMC is trying to say you did bad work, they should be able to provide you and your state board with the appraisal review. Not only that, they are obligated to turn you and your appraisal into your state board for disciplinary actions if they suspect USPAP violations. So the absence of either of these things should raise a red flag,” reports Hagar. “If all else fails, find another client. You’re always going to have client turnover– it’s part of doing business. It’s important for appraisers to push back against lenders and AMCs who try to play this game with our profession, but ultimately, the goal should be to work for clients that appreciate quality work,” advises Hagar. *Click here to read the lawsuit, Michael J. McSwain vs. Yadkin Bank and Streetlinks LLC, in its entirety. Heres one for you. Joined the appraiser plus program at Streetlinks AKA Assurant. Appraised a rural farm type property SL/Assurant. Had some hangups with owners and data acquisition. AMC cancelled then reordered then cancelled 3 or 4 times. Finally i just told them that i would just charge cancellation fee. They then told me they would pay fee however that as a result of me taking the cancellation fee that they would have to remove me from the panel and suspend me. All of this documented in email. And, ya’ll thought something was going to change for the better? Seriously? It should be obvious to all that the lending/real estate industry (lenders, FNMA/FHLMC/FHA/VA, AMC’s, NAR, etc.) is doing everything it can to destroy the appraisal industry. It’s the agenda AND people are simply stupid. They don’t understand (and don’t want to understand) impartiality and it scares them. They are doing the same/similar things to inspectors and surveyors who are the other impartial participants in real estate. There was a great scene in this week’s “Game of Thrones” on HBO. A royal went to borrow money from the “Iron Bank”. The lenders sat on one side of a long table on their high thrones while the king and his valet sat on low benches on the other side of the table. Very telling symbolically. What?! This is still going on and lenders and AMC’s are still maggots?! Tell me it ain’t so! Just as appraisers must report prior services in connection with a property, so should amc’s! It’s not an amc’s fault or even a banks fault if a bad appraisal results in a low value. It happens. Conversely, FAILING to be required to even disclose it, is holding back relevant information from FNMA and ultimate investors. IF a disputed value or “deal killing” value is received, there SHOULD be a field review. At a minimum, a desk review. The the reason for the second or third appraisal should be indicated in the file. On USPAP compliant review it was determined the original appraisal did not meet the minimum standards of professional appraisal practice, and a new appraisal was necessary. If the review is NOT USPAP compliant, then it should not be used as a basis for saying the appraisal is no good. In the case circumstances outlined, SOME appraiser committed an egregious appraisal error. The suspicion falls toward the unnamed second and third appraisers who finally “hit value”. If Mr. McSwain is the appraiser that did the job right, then in addition to winning the suit, he should get the satisfaction AND protection of knowing the other appraiser that valued the property 13% over Market Value has lost his license or at least faced disciplinary action. Suggestion to my peers. It takes me three times as much work to disprove a value as it does to support one. If we are to maintain credibility, then it is not enough to say agent supplied value-appeal comps are not comparable”. IMHO, we have to point out chapter and verse WHY they are not comparable OR as relevant value indicators as the comps that were used. Its a pain in the rear, BUT a necessary one to demonstrate we are not merely being recalcitrant and unwilling to admit (to a possibility of) error; but that we seriously considered the additional data and it did not produce a significantly higher value indication when properly adjusted. Even a much higher sale usually comes in at similar values if we adjusted properly to begin with. When they stack the deck and use comps that are 25% superior in quality and condition, then SHOW IT! Make an adjustment of 25% and say THAT accurate adjustment is why the sale is not truly comparable. (have to explain the differences adequately, of course). the chief appraisers at AMCs. I certainly hope Mr. McSwain prevails in his lawsuit. It will be a victory for all of us. Not just because he was initially mistreated but also because AMC’s take a large percentage of the appraisal fee to begin with and then they participate in the exact wrong doing they are supposed to be preventing. Streetlinks is a huge AMC so I am sure this sort of activity is prevalent throughout the areas of the United States they “serve”. Maybe a few lenders will want to disassociate themselves from Streetlinks when it becomes nationally known via the newspapers and internet that this AMC is participating in this type of shenanigans. Mr. McSwain was very fortunate to find a smoking gun because most of the time the AMC’s will not respond to requests for information about the paucity of work. They just simply shut off the appraiser and that is the end of that. I also hope that somehow the inflated appraisals can be sent to the state licensing regulatory agency so the appraisers who prepared the fraudulent appraisals can have their licenses taken away. We need to get the bad appraisers out of our profession so AMC’s cannot rely on them to “make value”! Good luck Mr. McSwain! You can’t. Only the lender is privy of this information. They are the ones who are suppose to notify you “after” FNMA has notified them. I’d think someone should take a look at the appraiser who came in behind Mr. McSwain with the potentially inflated values. The similar scenario happened to me with another AMC. Naive, I was, I beblieved in the “Appraiser’s Independance”. I explained why I did what I did on the appraisal I performed to the review appraiser. We had a ‘serious’ discussion. Our opinions differd. Next thing I know, I am off their approved list. What good is independance if you get punished for it. I wish I could offer a solution, but I don’t think there is any. The fact of the matter is the AMCs have the final saying. I know for a fact that had I ‘obeyed’ the review appraiser and kept my mouth shut, I would be still getting orders from the AMC. The sad and harsh reality! If the lenders/banks are allowed to interact with the AMC’s then I feel all appraisers have a serious issue. I have a similar story and in my experience: Complain all you want. Even with documented evidence, state boards, senators and CFPB will do NOTHING beyond lip service. I want to know more about your Appraisers Unite. It’s more of the same with the biggest change being our opponents are much larger and exert more power. We can’t market ourselves based on merit, there is always someone desperate enough to be a puppet. My most recent continuing ed classes really drove home my mantra of doing five times the work for a third of the money. Minimum wage and constantly defending every word you write is where we are. I actually got into this industry because I like it! Well, I did, now I just wonder how I can afford to get out . After seeing orders disappear for full appraisals and reviews, I have known (based on the reports I have reviewed) this is a reality. I was hired as a puppet but when I told the truth, my name didn’t surface again. I’m working to make a living and fighting Goliath at every turn takes a lot of time and energy. I want to know more about the person in the first comment Appraisers Unite? I have thought about this too. We are the only entity in the entire loan process whose fees are NOT protected, plus the guidelines of USPAP, FNMA, each bank and each AMC. I have felt lately it seems like too many bosses. Can we do something about this if we work together? What would happen if we all shut down our pcs for a day? I’m contacting those at Appraisers Unite because it seems like a start, at least. We can all complain until the puppets take over but at some point we need to stop and realize what we have now is not working, and so are fewer of us. This happens on refinance situations as well. Especially when the existing loan is not that old and was appraised by a banks staff appraiser who over valued the property to begin with. Then you get bombarded with sales that are being labeled “comps” that you have to spend additional time researching, without being compensated for your time. Then you get no more work! The pressure, intimidation and loss of revenue is far greater under Dodd Frank! It’s good to know Mr. McSwain is calling out the lender and AMC. Finally! This scenario goes on all the time. It has become inevitable that we find ourselves the target of an angry AMC because value wasn’t met. Then what happens? We move on to the next AMC and the next, and so on. In other words, the AMCs are not serving the purpose for which they were created. I sincerely hope this lawsuit brings that to light. It might just save our profession from becoming irrelevant. How can an appraiser find out if he/she is on the FNMA “blacklist”? Nothings change but the increase of scope of work and bs served upon us. The old boy network is still in place. I constantly see sales go through the system and would like to know how when financing is a key to the deal. I would welcome back the mortgage broker because I had good clients that listened to me. My appraisals were performed similar to todays before the changes. The banks are in control. AMC’s have in a way ruined whats wrong. They do not address whats most critical. Our reports still have critical mistakes. What has not changed is time. Especially where data is corrupt and inconsistent. Thats where the work is needed. We need to go back to doing summary reports and not narrative. fix the data and you will get better reports. Take away the banks influence and you will get better reports. Regression analyis is no good when the data is not right. Bradford should be spanked. I was always told you have use the data the way it is even though you know it is flawed. We need a simpler approach to value so there is no arguments. Otherwise there always be an appraiser out there to grab three and run for the client no matter how the assigment is dictated. The same thing happened to our company with Streetlinks and Flagstar. Feel free to contact me at centerappraisals@yahoo.com. The house is now in foreclosure I have heard! is that you have been taken off the ROTATION. When you call them, the clerks are trained to say “it is slow”. This is precisely what happened to me. Rather than sit and fret about not getting work from the AMC, I sent them an email to notify them that due to low volume, I was dropping them from my client list. The outcome was the same but I framed the situation so that I retained the power and independence. I wonder why they never responded? The least they could have done was send me a nice note thanking me for giving them the opportunity to work with me. A box of donuts would have been nice, too. An additional problem that has been present for the 30 years I have been in this business. Loan Officers often sympathize with the real estate agents, etc. by blaming the appraiser, as if the appraiser just made a mistake, etc. The loan officer should be trained to defend the appraisal and encourage the parties to work out a solution. Additionally, the present situation where a deal doesn’t work out just because of a 1% or 5% variance between the sales price and the appraiser price is ridiculous. The value should be reported in a range. If the borrower is not credit strong enough to purchase at any sales price falling in that range, then the loan possibly shouldn’t have been made even if the value estimate had met the sales price. Sellers and agents maybe should be allowed to escrow a little difference until the Lender is satisfied the loan is safe and then the escrow funds released. A single point value estimate is one of the most ridiculous theories I have ever heard of. I am a 32 year CPA, a 38 year Broker and a 30+ year Appraiser. Single point makes no real estate sense nor math sense. Survey the Appraiser to see if you find overwhelming agreement among Appraisers and the Realtors. This story should be shared with the federal agencies who are having the wool pulled over their eyes…again…by the secondary mortgage market lenders. Those agencies are asking for input, albeit the process is structured, but this is valuable information for those who would regulate AMCs. This is a very big problem. I had a client where the reviewers kept complimenting my work over the course of a couple years and sent me several appraisals per week. Then, coincidentally, I had two appraisals in a row that did not support a contract price. One sale was not even arm’s length. After that, I never received another request for work (except for a 1004D). I called to ask about this and a new employee (who did not know me) said that in the computer it said my fees were too high. That is odd, because I always worked for their fee. AMCs don’t ever need to black list anyone. All they need to do is just stop sending work. I’m lucky that I have no trouble finding work. Good work is usually rewarded. However, I’m always looking for new clients just-in-case. This was not the last time I had a good client suddenly stop sending me work for no apparent reason. It was just the most suspicious. Interesting subject as well as the ammunition to the blackened appraisers. Most striking is how the AMC’s and Loan officers are still allowed to practice-free, overstepping their authority – continuing to defraud/ write bad loans, while governing agencies are keep on hitting the appraisers on a black or white list with more UAD/ compliance, etc more USPAP courses, webinars, etc more costs, more reporting demands for before 2008 appraiser fees. What are those big shots doing? just getting paid from the taxpayers extorted taxes? I should add another category of appraisers- those who are not having a valuation issue in 3 decades, but stand up to ‘pricing issues of the appraisal work, complexity of the property, lack of sales/ listing within 1 yr- locale- area issues labeled at large as being ‘ similar or comparable’ without a valid- recognized analysis- and who’s going to do that for free; any many other ‘small statements’ like ‘neighborhood name vs us postal mailing address; those are also placed on the dead spur or removed by a ‘one-side – predetermined exit review panel of experts’ not necessary state licensed appraisers, not capable to see the trees and the forest- at same time. These are very sad times for all the appraisers who are ridiculed for last 20- 30 years by people defrauding lenders of all faiths, etc, over and over again, getting hefty fees and commissions, selling good and bad loans only for own profit, whom never took an ethics course like we did, every 2 years, since early 1990’s costing w/o the licensing about 800- 1000 $ each time. I have listen in February at my last 2014 USPAP class from appraisers that they get good fes. I do wonder, since we talked about the same AMC’s or Banks. so long. Happy Easter to all and good spring ahead.